We provide real estate service in Tokyo. I was born and raised up in Azabu and have been living together with this town for 50 years. 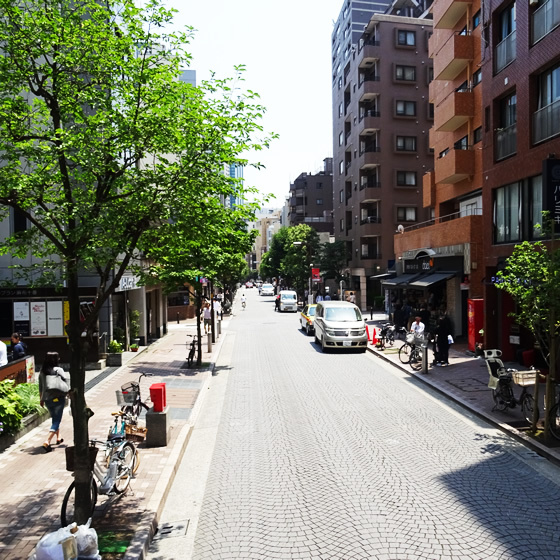 The more I know about Azabu-Juban, the more I love it and I feel enthusiastic about serving people living and working in this nice town. The affection for Azabu-Juban is underlying values of my company. PACI・COM is a company that helps residents and tenants live and work safely and peacefully. We believe that "Satisfying customers" = "the greatest profit as a company", and we provide daily real estate services rooted in the neighborhood.